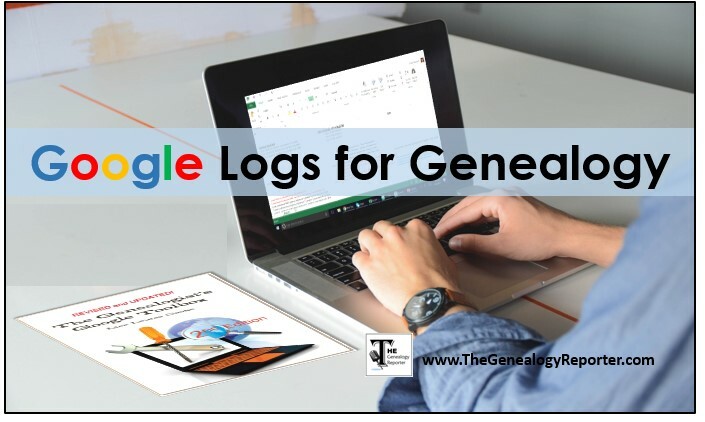 You may have used a research log for genealogy, but have you used a Google log? I have started using them and they have organized and improved my genealogy and family history research via the internet tremendously. This might be the brick wall technique you’ve been missing! 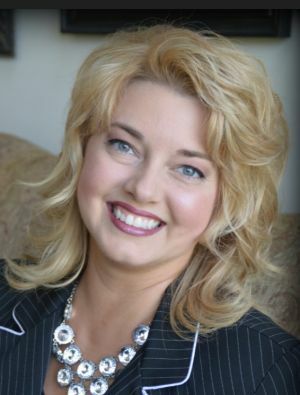 After having heard my friend and colleague, Lisa Louise Cooke, present her lectures on Google, I was amazed at how learning to use this tool properly made a world of difference in gathering additional genealogy information. I would have missed a great deal while researching my Lockwood family by only relying on records found at big name repositories. 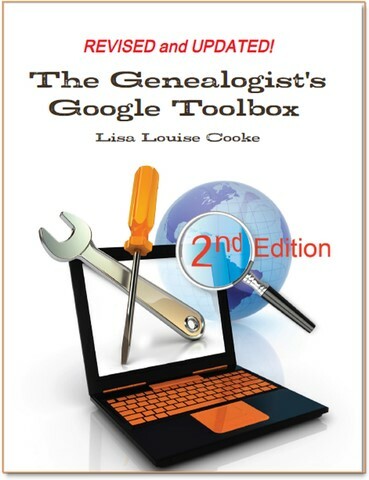 Among the many tips and tricks in Lisa’s book titled The Genealogist’s Google Toolbox, she includes numerous Google operator suggestions. 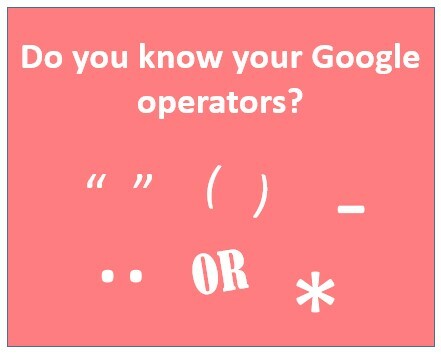 Google has their own set of operators. When you learn what they are and how to use them, Googling for genealogy will become part of your standard operating procedure. My problem is…I am a bit of a Google crazy-person. I went at my Google searching with no order or discipline. I was typing in this-and-that just as fast as the internet would take me. To overcome this problem, I create a Google log for my targeted ancestors or queries. First, I ask myself, “What makes this person unique?” In other words, if there were hundreds of Louis Lockwood’s in the world, what would make him stand out. Is it the name of his spouse? Is it the county and state where he was born? How about a year of death or a range of years he lived? Now, I create my Google log. I do this before I begin actually searching. A Google log is a list of all the possible Google equations that might produce information about Louis Lockwood. It is important to recognize that as new information is found, new Google search equations will need to be created and added to the log. Google Equation – That is what I type in to Google. It sometimes includes a Google operator. Date Googled – New information is always being added to the internet. If it has been a few months or years since I last searched using that equation, I will try it again. Info Collected – This is a column to jot down new information I have learned or confirmed. This is the most crucial column. I will use the information I have found to create new Google search equations. Link – Always make sure to record the link of the website where you found the information. You will need this for a proper source citation. In the example below, the Google equations typed in black are what I started with. When I found new information about Lewis (notice I changed the spelling of his name! ), I added new equations which I typed in red. I searched using the first equation Louis Lockwood Steuben County New York 1809. I didn’t find anything that was helpful. Moving on to the next equation, I used my first Google operator…the quotation marks. Sadly, still no matches. Did you notice in the third equation I changed the spelling of Louis to Lewis? That’s another tip from The Genealogist’s Google Toolbox. And then, I added a middle name. Lisa shares a few ways to get around the name game. What do you do when you have a last name like “White”? Or, what about those ancestor’s with an unknown middle name or initial? There’s an operator for that! As I mentioned above, when I began to find new information about Lewis, I used it to create new Google search equations and typed those in red. In my case, I started out knowing only that Lewis was born in maybe Steuben County, New York in about 1809. I knew he was a Presbyterian minister and his wife was Sabrina Robinson. I knew they had three children and he moved them to Chickasaw County, Iowa about 1860. I did not know he had been married twice before and other children were born to those unions. I did not know he was from Harpersfield, Delaware County, New York and raised a Methodist. This is just a touch of what I learned after completing an exhaustive Google search and using a Google log to stay focused and organized. Screenshot for purchase of “The Google Toolbox” in e-book format. I hope you will use Google for genealogy and share your success stories with us in the comments section below. Happy searching! 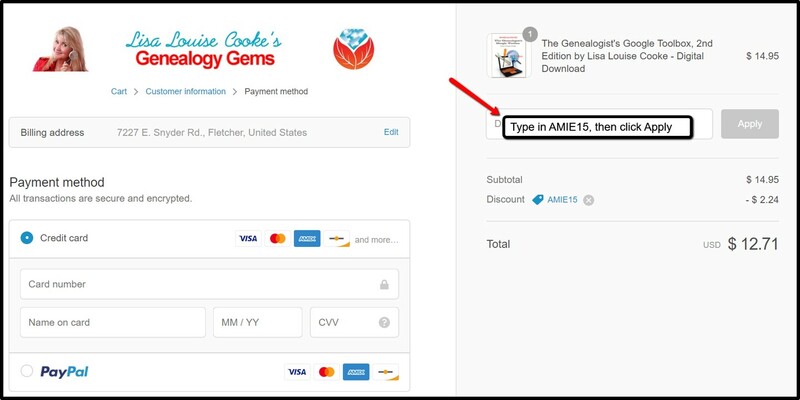 The Genealogy Reporter has entered into an affiliate relationship with Genealogy Gems and does receive commission from sales made from these links. I’d like to share this so I can refer to it later but no share button. Can it be added? Jill, Thank you for bringing this to my attention! I think I have made the necessary corrections and you should be able to share it now. Thanks so much!